Khanna Jewels Company is the oldest & best Diamond Jewellery online retail shop in India. Khanna Jewels has been e-retail & exports since 2003 selling diamond gold jewellery online. We are one of the Best & most economic priced diamond jewellery shop online. Khanna jewels deals in all kind of diamond & Gold jewellery Daily wear, Bridal wear, office wear, Party wear or for any special occasion. Business Description: Khanna Jewels Company is the oldest & best Diamond Jewellery online retail shop in India. Khanna Jewels has been e-retail & exports since 2003 selling diamond gold jewellery online. 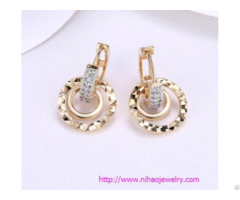 We are one of the Best & most economic priced diamond jewellery shop online. Khanna jewels deals in all kind of diamond & Gold jewellery Daily wear, Bridal wear, office wear, Party wear or for any special occasion.